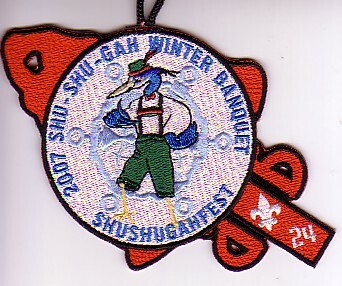 Shu Shu Gah Lodge #24 held its Winter Banquet this past Saturday. Using an Octoberfest theme and held in a German Restaurant in Brooklyn, what could be more natural than to dress the heron in Lederhosen for the ShuShuGahFest. You can find the patch pictured below.